Round and square meat and bone dust scrapers available in both stainless steel and polyethylene. 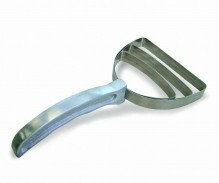 This reliable butcher tool cuts through grease and other residue found on many types of meat. 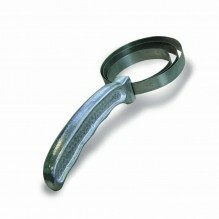 Whether it is being used on wet or dry meat, this bone dust scraper is both safe and comfortable to use. A square scarper is generally used for large tasks, as it touches more surface area per stroke. 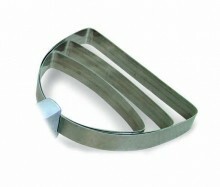 The one-piece construction of these butcher tools allows for easy cleaning, and refill blades are available for both square and round scrapers.